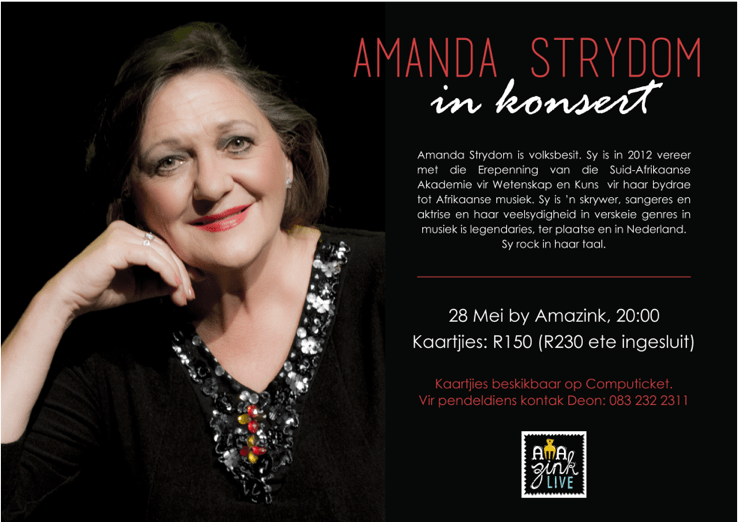 Amanda Strydom, celebrated South African singer and actress, will perform at Amazink this Saturday. Strydom has produced a myriad albums during her career, including Briewe Uit die Suide and Kers Teen Die Donker. In 2012, she was honoured by the The South African Academy for Science and Art for her contribution to South African music. The show starts at 20:00. A ticket costs R150, or R230 with a meal included.